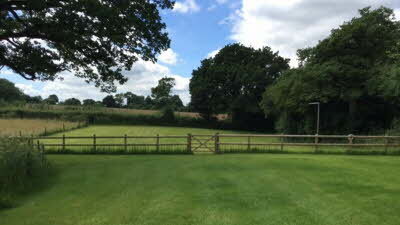 Lower Liston Farm is a working farm nestled in one of North Dorset's most beautiful valleys. 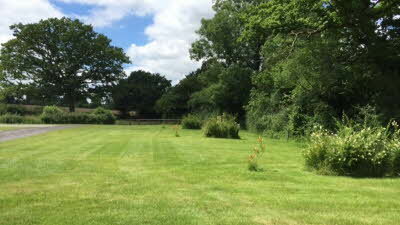 A peaceful place in the country with natural organic meadows surrounding the campsite. There is an abundance of wild flowers, and mature trees throughout the farm, which attracts many types of wild life. 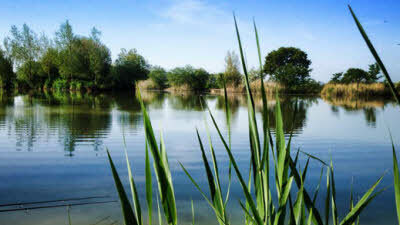 It is an idyllic place to relax and unwind. Yet only 1.5 miles from the historic hill top town of Shaftesbury with the famous Gold Hill and the ancient Abbey ruins, resting place of Saxon King Canute. The surrounding area has a lot to offer visitors, with Longleat House and Safari Park, Wardour Castle, Monkey World, Tank Museum, Sparkford Car Museum, Yeovilton Air Museum, and Stonehenge all within a thirty minute drive. Annually our local town hosts the agricultural show and carnival and nearby the Great Dorset Steam Fair. 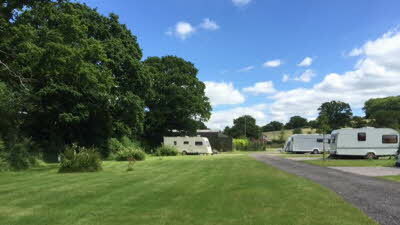 The farm is situated down a private drive visible from the A350, passing through the farm you will find it opens into a secluded campsite with large individual pitches with electric points and water. There are showers and toilets, chemical disposal point and dishwashing facilities and recycling. Dogs are welcome as long as they are not allowed to roam freely on the site and exercised in the designated walking area. From the campsite there is a footpath for those who like a stroll, this leads to a network of paths for the more serious walker. There are villages from these paths, here they have a local shop and local country pubs where you can stop for food and beverages. The farm has a riding school run by qualified instructors, and horses of all sizes. If you would like to experience a lesson there is a discount for Club members. 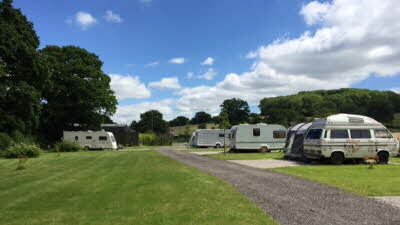 We arrived at this beautiful site and we were met by Graham the owner at the gate,who was very friendly and welcoming.He showed us to our pitch and explained everything that we needed to know.Graham was very informative and talked to us about the local area and advised us of the best area for cycling.The site is absolutely immaculate with fully serviced pitches and a lovely view across the fields.There is a toilet block with showers that was absolutely spotless.This is one of the best cl’s we have stayed on and would highly recommend it.We will definitely be returning. 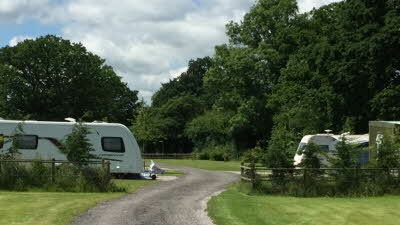 This cl is more like a small Caravan Club site infact better than some. The facilities were excellent electric , water and grey water drain all on the hard standing pitch. There were good washing up and toilet emptying facilities. The shower block was heated which was great on cold mornings and they were spotlessly clean.Graham and his wife were really friendly and welcoming. There are lots of things to see and do in the area. Thoroughly recommended A+++++++. 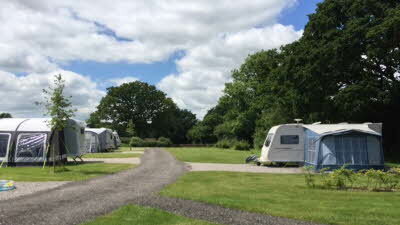 One of the very best CL sites we’ve stayed at with both grass and hard standing pitches. 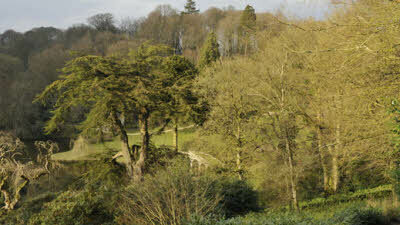 Lots of wildlife, we saw 3 deer just 50 metres from our pitch, and never seen so many birds on our bird feeders. The owner Graham made us both feel very welcome and he takes a real pride in making sure everything on site was perfect for our stay. Will certainly call here again. 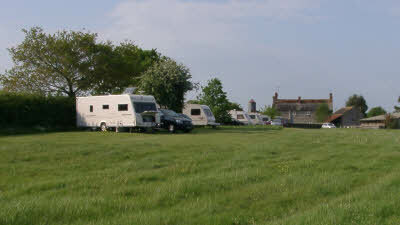 This site offers full service pitches, quality toilets and excellent views. There is a train route nearby but not intrusive. Graham obviously sets out to provide the best possible service whilst running the farm with horses and sheep, a dog groomers, horse riding (not tried). We thoroughly enjoyed our weeks stay and recommend unreservedly. 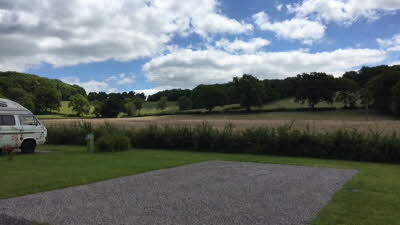 We have just returned from a seven night stay at this most glorious site, friendly owners, excellent facilities , outstanding views from all pitches overlooking farmland where deer can be seen, bird feeders provided so a constant flurry of feathered friends visit. This has been the most relaxing break we’ve had in a long time, thank you Graham and Andrea we are definitely booking for next year.